Understanding is the foundation of any relationship. It’s because a perfect relationship is built by accepting each other’s imperfections, and understanding is the beginning step of accepting each other’s imperfections. A relationship is not only ended by misunderstanding, but it is also broken by lack of understanding. Understanding is a big issue in any relationship. It depends on listening and observing each other, equally. But, we talk more than to heed. That is the problem. We don’t try to understand another. We just assume something based on our perception and become judgmental to another. Then, we mercilessly throw those judgments to each other. That breaks the harmony of a relationship. Finally, the kinship is ruined by lack of understanding. Where there is proper understanding, there is no place for judgment. Understanding needs proper communication and it is vice versa. Communication doesn’t only mean talking with each other, continuously. A good communication is going on by talking and listening, proportionately. It needs an open mind to receive other’s views and to observe those from his or her standpoint. In this way, a proper communication constructs the base of understanding. When there is a proper understanding within a relationship, the individuals of it, can communicate with each other even in the silence. Understanding makes us kind to each other. We can sense each other’s problems with full of compassion, that gets a healthy relationship. When we can see each other in this manner, we will be able to live with each other’s imperfections. Only, then a relationship of two imperfect individuals goes on, harmoniously. Thus, Understanding is the key of a healthy relationship. Understanding is the key, but it is another abstract notion, which changes from person to person + situations ! the best thing that can happen is the person gets back to his normal state at the earliest. That’s natural and common in any relationship. Above all, we need understand each other with those imperfections. Oh yeah, but how many of them truly are ready to accept with the imperfections, when the world is moving towards making the perfectly curved smart phones, when the media n fashion is pushing towards having that perfect lips and nose ! How many of them are truly inside of them, ready and happy to accept the other with those little imperfections ! Those are ready to do that,can built a healthy relationship. sounds fictional, but still possible. Really! that’s great. is it yours? No. I am just yet to get into that boat. But I will try to make mine the same way, what is the point of speaking so much and not being able to deliver it. OK. Best wishes for that. Yes, so true. Glad you liked the theme. 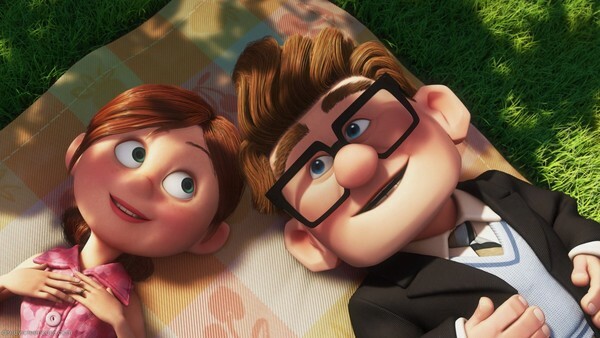 The relationship between them made a great impression on my mind, while I saw “Up”. After completing the write up, the first pic came at my mind is the pic of that relationship. Thanks. I guess in today’s time relationships are becoming more and more baseless and materialistic and people don’t want to understand its essence. Everyone is looking for their own benefits. Your article is really inspiring for the ones who are lost and don’t understand what loving is all about.